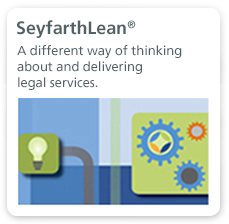 Seyfarth Shaw’s Employee Stock Ownership Plans team intimately understands the value of ESOPs for accomplishing key business and tax goals, and we have long helped our clients successfully establish, maintain and transform their plans. With a team that includes some of the country’s most experienced ESOP attorneys, we support our clients' ongoing legal counseling needs and regularly represent ESOP companies, trustees and lenders. We provide valuable counsel to trust companies and other financial institutions, as well as public and private corporations, on the use of ESOPs in numerous transactions, including leveraged buyouts, corporate stock repurchases, ownership succession transactions, mergers and acquisitions, and hostile takeover bids. Our extensive track record of representing all parties to ESOP transactions, combined with our broad range of experience in business transactions generally, provides us with a unique perspective that helps to successfully navigate complex planning considerations and challenging negotiations involved in ESOP transactions. Our attorneys carefully review the potential liabilities associated with maintaining employer stock funds as investment options under their 401(k) plans. We also provide clients with a variety of appropriate strategies for reducing potential liabilities. We assist publicly traded clients in converting existing employer stock funds into employee stock ownership plan components to take advantage of the favorable tax benefits related to the payment of dividends. As a function of our commitment in this area, Seyfarth is a contributing member of The ESOP Association and of the National Center for Employee Ownership. Our attorneys actively participate in the activities of these organizations in related educational and lobbying efforts, and we speak and write frequently on the subject of ESOPs. 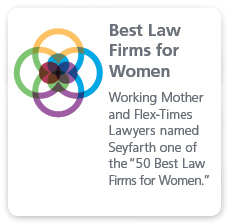 Our multi-disciplinary team includes attorneys with substantial knowledge of the various legal disciplines necessary to the success of ESOP transactions, includingfederal taxation, employee benefits, administrative services through Seyfarth Benefits Consulting Group, corporate law, securities regulation, mergers and acquisitions, corporate finance, banking law, environmental law, and litigation.We incorporate efficiencies and innovative technology tools to add transparency, responsiveness and accountability for our clients. 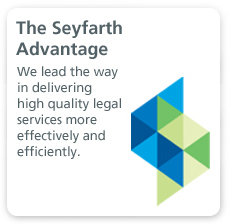 We lead the way in delivering high-quality legal services more effectively and efficiently.